Experience the same high-touch, local support from our Employee Benefits Consultants with the added power of national scale. As one EPIC company, we now offer Risk Management and Property & Casualty services to our clients, in addition to our traditional Benefits & HR Consulting services. Learn more here. Experience our culture of EPICness and learn how to become a part of our organization by visiting our Culture and Careers pages. Stay on top of all EPIC news, including media coverage spotlighting our many thought leaders throughout the company, by visiting our News and Press Releases pages. Follow EPIC on social media to stay connected. Simply click on the icons below to visit our company pages. EPIC team members have consistently recognized their company as a “Best Place to Work” in multiple regions and as a “Best Place to Work in the Insurance Industry” nationally. EPIC now has more than 1,400 team members operating from 50 offices across the U.S., providing Property and Casualty, Employee Benefits, Specialty Programs and Private Client solutions to more than 20,000 clients. With run rate revenues greater than $400 million, EPIC ranks among the top 20 retail insurance brokers in the U.S. Backed by Oak Hill Capital Partners, the company continues to expand organically and through strategic acquisitions across the country. For additional information, please visit www.epicbrokers.com. "Ascende has been delivering strategic guidance and service around benefit programs and HR needs to our clients for over 21 years, and we believe the decision to join EPIC will help us deliver an expansive new set of capabilities to our clients and additional value, with the same commitment to service delivery that has been a hallmark of our firm. 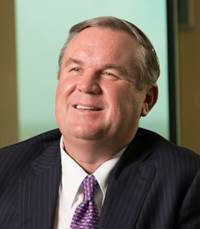 We expect that our clients will immediately benefit from EPIC’s broader resources including risk management, property & casualty insurance, workers’ compensation, management and executive liability, and private client services," says Ascende Chief Executive Officer Jim Watt. "We are thrilled to join a unique and successful company like EPIC."